We’re here to help. Call us! UberSignal offers complimentary system design services to create the perfect solution for your situation. Orders placed by 4pm Eastern typically ship the same day. At UberSignal, we offer multiple shipping options for your convenience. All orders sent via free shipping (see below) or ground shipping may take between 1 and 3 days to ship from our warehouse. Orders with expedited shipping that are received before 4pm Eastern, Monday through Friday, generally ship the same day, with all others shipping the following business day. If your order contains any products that are out of stock, pre-order, or back-ordered, it may take additional time to ship. 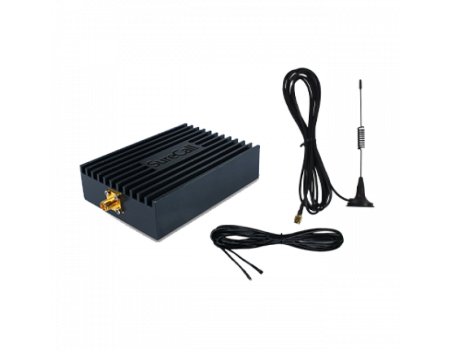 At UberSignal, we know that everyone’s situation is different and in some cases, it’s possible that a signal booster may not work quite like you had hoped. If you’re not satisfied with your purchase for any reason, we offer a 60 day return policy during which you can return your order for a refund. If you would like to return a product from your order, please call us at (800) 590-3564 and we will provide you with all of the information necessary to return the item. This product is backed by a 3 year manufacturer's warranty, which will cover any defects in the equipment for up to three years. Just hang on to your order receipt and contact the manufacturer within that timeframe if you have an issue with your signal booster kit. Please note, this kit will ONLY boost 4G LTE for AT&T. It will not boost 2G or 3G. 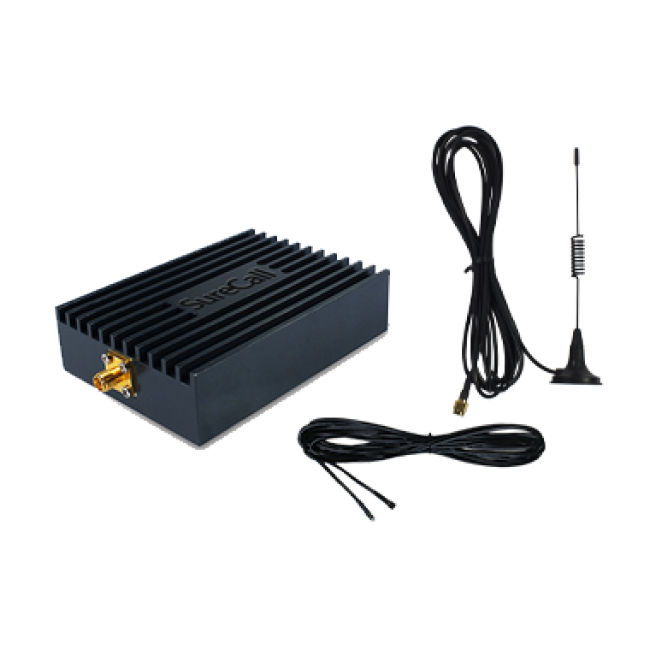 You should choose this kit if you need to boost the 4G LTE network from AT&T directly to a device, such as a vending machine, ATM, security system, etc. This is a CONSUMER device. BEFORE USE, you MUST REGISTER THIS DEVICE with your wireless provider and have your provider's consent. Most wireless providers consent to the use of signal boosters. Some providers may not consent to the use of this device on their network. If you are unsure, contact your provider. You MUST operate this device with approved antennas and cables as specified by the manufacturer. Antennas MUST be installed at least 20 cm (8 inches) from any person. You MUST cease operating this device immediately if requested by the FCC or a licensed wireless service provider. WARNING. E911 location information may not be provided or may be inaccurate for calls served by using this device. Please note, the four largest carriers - AT&T, T-Mobile, Verizon and Sprint - and more than 90 regional carriers have given blanket consent for use of all boosters certified to the new FCC standards. “Customer service was outstanding, the engineers worked with me during the whole process, the product preformed better then expected and the transaction was effortless.” ~Robert M.
“This is how business should be done. I called and talked to an associate and explained my circumstances and my needs. I was told what setup would work the best for me. I purchased it and they let me know they offered a price match guarantee. I received it in a timely manner and installed it per the directions. It works perfectly. ” ~Ryan S.
“Wow talk about great Customer service! This company stands behind their products and goes above and beyond to make sure everything is Taking care...Thx so much for all you guys did for me!” ~Willard M.
© 2019 UberSignal. All Rights Reserved.